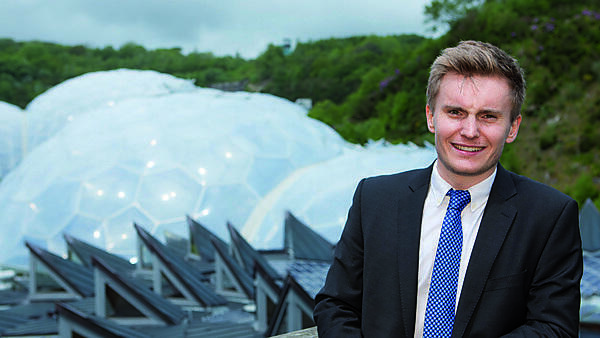 "I was sold on the University of Plymouth after attending an Open Day there. I had also taken a look at both Kent and Portsmouth Universities but didn't quite get the same feeling compared to the Plymouth campus. The University is close to everything that you need including the main shopping centre, accommodation and the train station which is handy. After some research into the Building Surveying course here at Plymouth and information provided by the lecturers, I felt strongly that it was the right decision to apply to Plymouth. The course is accredited by RICS which is essential for paving the way for a future career in surveying and getting a ‘chartered’ professional qualification. The teaching quality and methods have been great throughout all years of study, both by in-house and guest lecturers. The teaching staff are supportive of your work, especially in the final year regarding the dissertation project. I spent my placement year at Malcolm Hollis LLP in their Birmingham office. During this time I was mainly involved in pre-acquisition surveys undertaking schedules of condition, as well as the odd project management job. The year on placement allowed me to build on the foundation of knowledge that I picked up in years 1 and 2 at Plymouth. I also attended a number of CPD events and managed to log time against my post-graduation qualification period to become a Chartered Surveyor. On the back of my year with Malcolm Hollis, I was offered a job with their London Office. I start in July 2014, although beforehand I hope to do a bit more travelling around South East Asia. My advice to those thinking about coming to Plymouth? The course and the teaching staff have opened up many doors in terms of future career. My advice would be to seize the opportunities that present themselves and to get involved with everything that is offered to you. Foremost, enjoy yourself. It may sound cliché but meeting friends for life and the experiences I have shared with them has been the most enjoyable part of my experience at university."